It seems like every day, we hear about another web service that was hacked and whose account information was stolen. Most internet users aren’t connected to the hacker underground and have no way of finding out if their account may have been leaked. 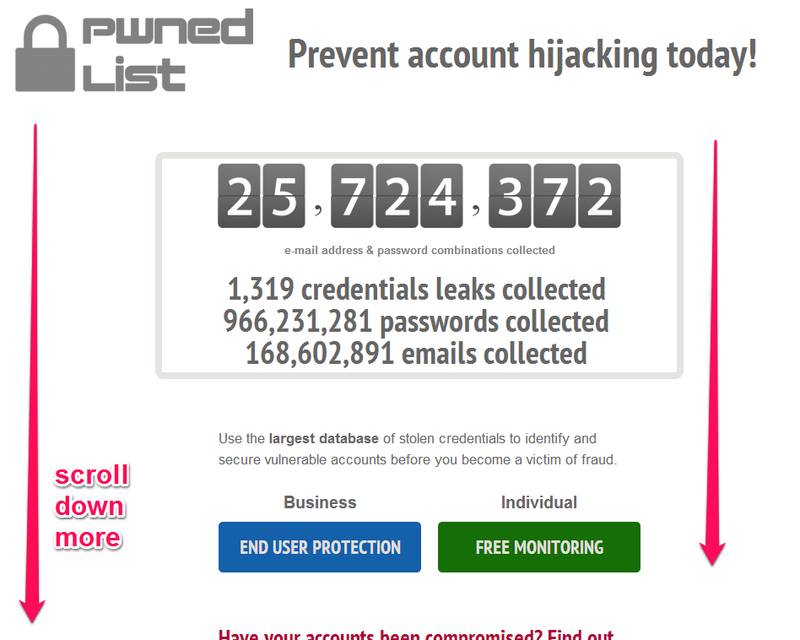 Enter PWNEDLIST, a free service that can tell you if your account information was disclosed as part of a hack. The site started in July 2011 and was the idea of Alen Puzic, a white-hat security researcher. The brains behind the site scour the dark side of the web and collect leaked data to add to their collection (think millions of accounts). To protect your information, they use this collected data to create a unique string to identify your email address and delete everything else, this means that even is a hacker compromised their service, there isn’t any account information to steal. I didn't want to sign up for their continuous monitoring service but I created an IFTTT.com recipe to remind me to check the site monthly. You can use this recipe too by going here.